My three weekends of racing in a row is finally over! Yes, I will continue to train but I’m glad to have a few weeks off from intensive racing. It’s time to recuperate and welcome the fall season to New York City. 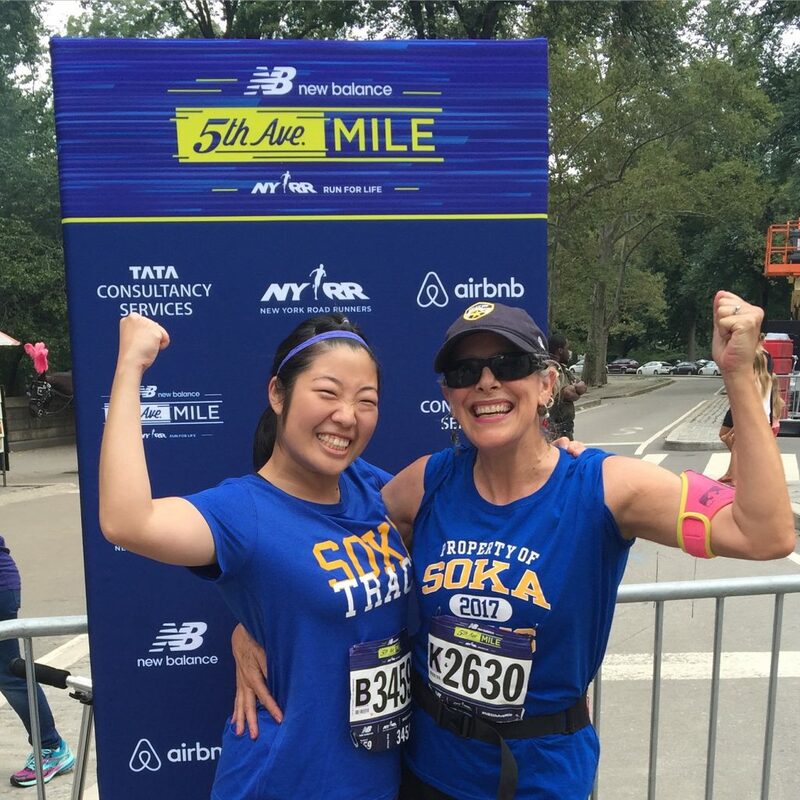 Last Saturday, on September 3rd, I completed the New Balance 5th Avenue Mile. It started on 80th Street and went down to 60th along one of the most iconic avenues of the greatest city in the universe. I anticipated a relatively easy race since running a mile is a warm-up. Not the case, though. It felt like a solo 4×4 race and anyone who did Track & Field knows how tough this is. I still managed to get through it and had a wonderful time. Here are my reflections. because two Soka champions are better than one! It’s amazing how a mile is never just a mile. Twenty blocks, in New York City terminology, could be anything from a starting point to a major goal. It was an incredible experience to run alongside athletes who each have a different relationship with this distance. I felt united with all the runners because we’ve had to overcome our first mile to be where we are today. Since this race was divided by age and gender, I also had the pleasure of watching from the sidelines. It was exciting to cheer for others as they pushed through the last 400 meters. For now, I’ve conquered this mile. I’ll do it again next year. When next November rolls around, I’ll be ready for an additional 25.2 miles. 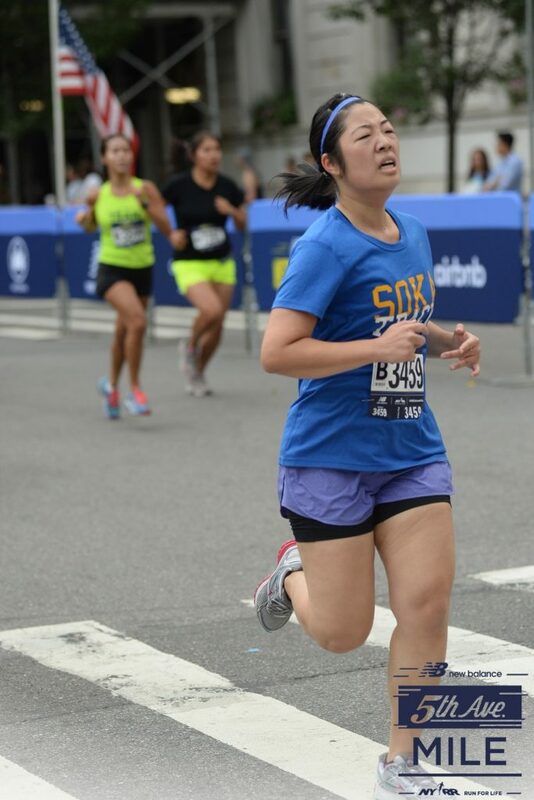 In my post-race reflections from the Harlem 5K, I talked about having a “Forrest Gump moment” where I started out running alone and had friends gradually join me along the way. What really happens, though, is that everyone starts out as solo runners. Running itself is a solo sport so we’ll always be alone, in a sense. However, we have control over the powerful energy we put out into the world and can inspire others with what we do. The more I talk about running, more people put themselves up for the challenge (whether that’s a 100 meter run or a half marathon) and that inspiration comes right back to me. It gives me profound joy to be part of an ecosystem that spreads inspirational energy as motivational fuel. I didn’t realize that all the racing I’ve been doing took a huge toll on my body. It was a good thing that I had a long weekend with Monday’s Labor Day incorporated because otherwise, I think my body would have shut down completely. For an athlete, I’m not a huge eater (despite the fact that I love eating) so I don’t think I am sufficiently replenishing my body. Sometimes, I forget to take care of myself when I’m not running. I know I need to be eating properly, doing strength training, sleeping eight hours and hydrating consistently but in reality, it just doesn’t happen. I felt the repercussions of not taking care of myself so I have to be mindful about that in the future. Since graduating my university’s Track & Field team in April 2011, I’ve struggled to maintain my consistency with running. I went through several phases of running actively for two months, followed by a year of being lazy. Now that I’m on my own, I have to act as my own coach by keeping myself accountable. I have to design my life in a way where I anticipate each and every possible excuse that could come up and eliminate them. I admit, I’m my own worst enemy when it comes to excuses. Being my own coach is definitely tough. Three consecutive weekends of racing required a lot of focus, will power and raw grit but I did it. And I know that everything onwards is going to be even more challenging. But I got this. My goal for this mile was to finish it in 8:30 or under. When I ran at Soka University of America, my best mile was somewhere around the 8:10 mark. I’m nowhere near as fit as I was during college so I thought my goal time for this race was pretty solid. I surprised myself when I checked the results and saw that I finished at 7:16, an entire minute and fourteen seconds off of what I anticipated. For a mile, that difference is huge. When it comes to running, I always set goals but sometimes am not able to fulfill them. But there are other times like this when I surpass my goal to the point where I’m left wondering how much more can I accomplish. There’s only one way to find out: to keep on running! My next race is one that I’m volunteering for. I will be helping out with baggage check at the TCS New York City Marathon Tune Up (18M) on Sunday, September 18th from 5:30 am. At this point, there is no way that I could physically run an 18-mile race (or so I think) but I’m going to make a determination to do it next year. After this, I’m headed to the Bronx on Sunday, September 25th for another 5K. 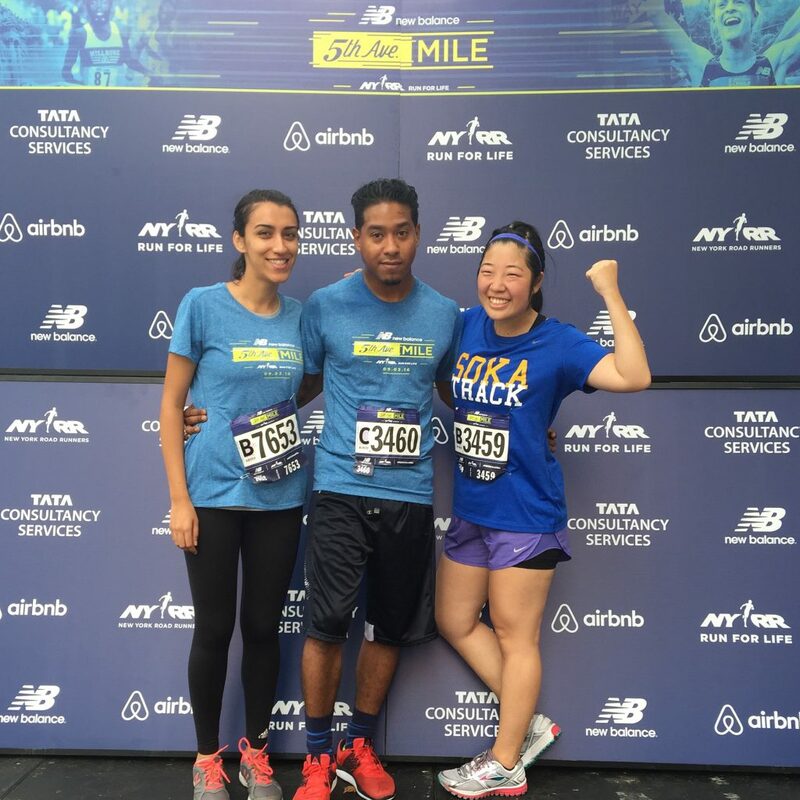 When the NYRR R-U-N 5K was cancelled, they gave me the option of carrying over my credit for another race so I chose the New Balance Bronx 5K 2016. On a separate note, I got talked into signing up for the NYRR Staten Island Half (Five-Borough Series) on Sunday, October 9th at 8:30am. Since I’m full of pride and my ego is high, I don’t say no to running challenges. Before I knew it, I received a confirmation email of registration. I’m not crazy, am I? If you think so, you’re more than welcome to refer me to a therapist.